Everything looks better with flowers from Terri’s Florist! We’re your friendly, full-service florist proudly serving Columbus, Georgia and the surrounding area for over 40 years. Flowers and gifts are our business... and with attention to detail, we ensure that each arrangement is designed using only the freshest flowers available. Our helpful staff is ready to assist you with placing orders for local delivery or anywhere in the world. Not sure what to send? Let us offer some creative suggestions. 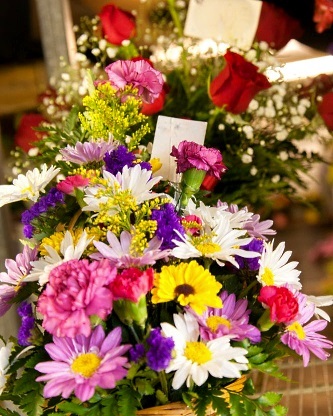 When you’re looking for something special, Terri's Florist has just what you need! Browse our variety of lush green plants, dish gardens and blooming plants for a gift that brings life to any room, office or outdoor space. Shop for the latest fashions, scarves, Couture Tee Co. t-shirts, purses and jewelry, garden gifts & decor, wind chimes, garden flags, and University of GA, Alabama and Auburn college-themed gifts. Can't beat one of gift baskets, anytime of year! We make fresh fruit baskets, candy bouquets and goodie baskets filled with the works... salty snacks, candy & chocolates, etc. We carry Russell Stover, Godiva, Whitman's Samplers & other premium brands. You can also special order a custom gift basket that's created especially for you. More than just your average flower shop with lots and lots of great gift ideas... Baby gifts, plush stuffed animals, balloons, greeting cards, home décor & accessories, silk flowers, dried floral designs, wreaths for all seasons, decorative candles from Swan Creek Candle Co., picture frames, teacher gifts and religious items, like cherubs, angels, crosses, keepsakes, etc. Send Sympathy Arrangements and Funeral Flowers from the heart. 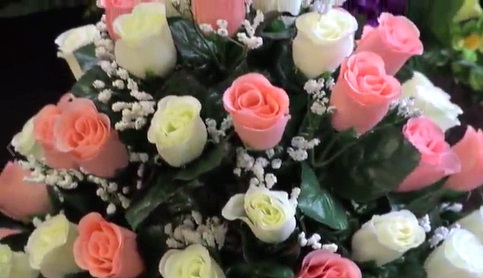 Ask our staff about customizing a floral tribute to a departed friend or loved one. You can depend on us to help you choose funeral flowers that beautifully convey your expressions of sympathy and serve as a lovely memorial to the deceased. 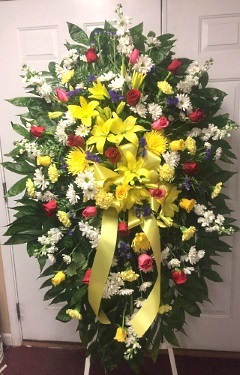 Our shop also offers silk funeral flowers, silk memorial pieces and silk cemetery arrangements. Your place for beautiful custom Wedding Flowers, Parties and Special Events. Whether you prefer time-honored and traditional, or modern and contemporary, we design with you in mind! Our bouquets and and floral arrangements reflect each bride’s individual style and budget. Call us in advance at 706-322-4782 and let our expert design team help you plan a truly magical event with gorgeous, unforgettable flowers! Thank you for visiting our website for flowers delivered fresh from your local Columbus, GA florist of choice, Terri's Florist. Call or stop by today!